Salaam Shalom’s Resistance programme focuses on the actions of bystanders and victims, encouraging them to become ‘Resistors’, rather than focusing on bullies. Research has found that bullying will stop in less than 10 seconds, 60% of the time, when peers intervene. Yet bystanders only intervene in 10-25% of bullying incidents. 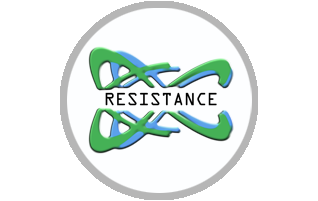 Aimed at Secondary School and College-age young adults, Resistance offers a set of teaching resources built from the original Resistance project. Young Muslim and Jewish members of Salaam Shalom’s Youth Council wrote, produced, directed and acted in a short film showing how their peers could and should respond to – resist – prejudice and discrimination, sexual as well as religious. The making of the film created dialogue itself within the group. This film formed the basis of an interactive workshop for secondary school and college students of two 1½ hour sessions. It was combined with another extremely powerful and moving film made by a local artist for a Holocaust Memorial Day event at Bristol’s MShed, It showed the discrimination experienced by disabled children at the hands of Nazi soldiers and how they resisted. Actors included disabled students from a Bristol school. At the end of every workshop students pledge the ways in which they will become active resisters. This is followed-up with a workshop to allow them to describe successes they may have had.